Have you ever thought that you look perfectly sane only to have someone take a picture and show you what a nutbar you really look like? That's what happened to me. 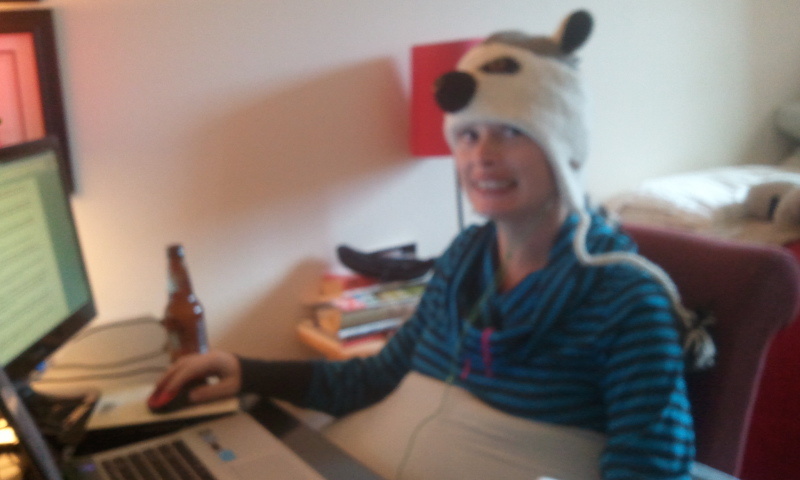 I know the lemur hat doesn't help, but come on, its gotta count for something. Right? maybe some new sassy shoes would normalize the situation a bit....too much lemur thinking, I think.